Two EMLA releases this week! 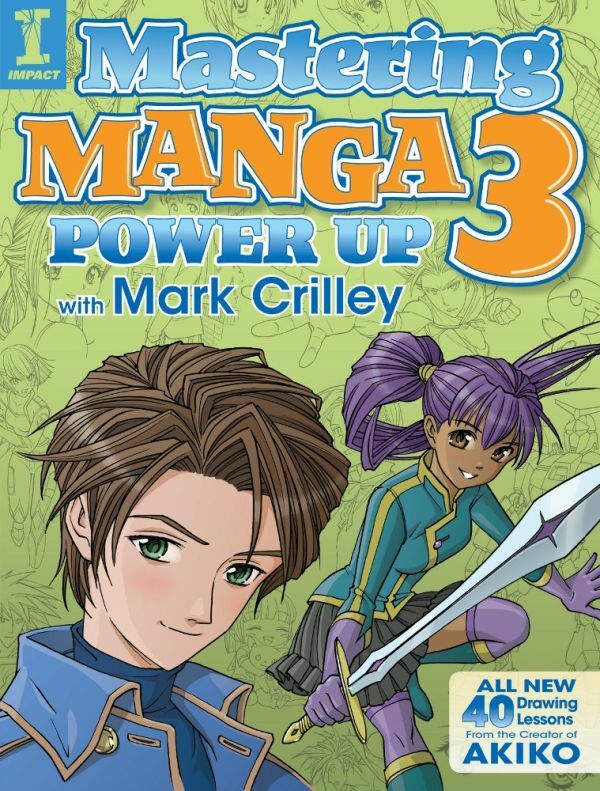 We're celebrating the release of two EMLA books this week - Mark Crilley​'s MASTERING MANGA 3 and Jennifer A. Nielsen's THE SCOURGE! Please join us in welcoming these wonderful books into the world. Corinne Duyvis Is Out to COLLECT THEM ALL! Marvel Comics has acquired On the Edge of Gone and Otherbound author Corinne Duyvis's new prose novel set in the Guardians of the Galaxy world. 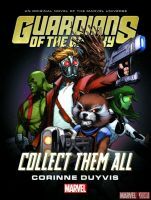 Titled Collect Them All, the story follows the Guardians' discovery that someone is planting stolen branches of Groot's and selling the newly grown saplings across the galaxy, forcing them into an uneasy alliance. The deal was represented by Ammi-Joan Paquette at Erin Murphy Literary Agency, for targeted release in spring 2017. That's right, folks—you read that right: Corinne's next novel is a stand-alone, prose novel for Marvel. Guardians, mark your calendars—and get ready to read! A new release from Chris Barton! 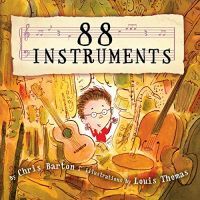 Today we're celebrating the release of Chris Barton's 88 INSTRUMENTS - huge congratulations, Chris! What could be better than telling the world another Brian Lies picture book is on the way? How about telling the world that TWO more are on the way? Brian's newest picture book under contract is close to his heart. It explores something rarely seen in picture books: Grief that pours out as anger, through the story of a gardener who loses his beloved dog. The art is absolutely gorgeous (of course)! Virginia Duncan at Greenwillow loved it so much, she's going to publish it AND another, to-be-determined story, with the first one set to debut in spring 2018. That's three books signed up for Brian in the last three and a half months! Huge congratulations, Brian! Christina Uss Breaks Out Her BICYCLE! Ladies and gentlemen, boys and girls: It's time to shine the spotlight onto a newly minted debut author! Are you ready? This is a manuscript that is so close to my heart—packed with quirky humor and brimming with unforgettable characters. It's a cross-country journey like none other, and one I guarantee you will never forget. Margaret Ferguson at Margaret Ferguson Books has acquired Christina Uss's debut middle-grade novel, The Adventures of a Girl Called Bicycle, about a girl who loves her home in the Nearly Silent Monastery, but the pull of friendship leads her on a coast-to-coast cycling adventure from Washington, DC, to San Francisco, complete with hauntings, runaway stallions, lucky inventions, and a mysterious black-clad pursuer, for publication in spring 2018. Ammi-Joan Paquette at Erin Murphy Literary Agency did the deal for World rights. 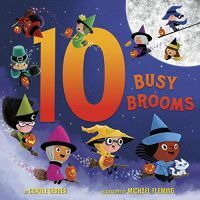 We're celebrating the release of a fun and adventurous title today - 10 BUSY BROOMS by Carole Gerber! Huge congratulations, Carole! Tyler Whitesides’s Hot New MG Series—THE WISHMAKERS! What would you do if you had unlimited wishes? Something to think about. Tyler Whitesides, rock star (literally—look him up on YouTube!) author of the Janitors series, has delved into this question in his hot new series THE WISHMAKERS. You guys. This is a fast-paced, hilarious, breathtaking middle-grade adventure that is going to take the world by storm. You heard about it here first! I'm thrilled to share that this three-book series sold in a pre-empt to Chris Hernandez at Harper, and book #1 will be bursting onto bookshelves everywhere in winter 2018. A LIONS’ TALE from David Zeltser! The lion is out of the bag! I'm thrilled to share the good news of an incredible new picture book deal—THE LIONS' TALE is a magical, unforgettable story following a young boy's midnight adventure. It absolutely captured my heart from the first time I read it—a sure-to-be modern classic in the making. THE LIONS' TALE was acquired in a lightning-quick preempt by Maria Modugno at Random House Children's, where she then lined up the immensely talented Raúl Colón to illustrate. I couldn't be more thrilled to share the news of this upcoming book! You'll have a bit of a wait, as publication date is set for 2019—but, trust me: It'll be worth the wait. Charming New Picture Book Alert for Megan Wagner Lloyd! 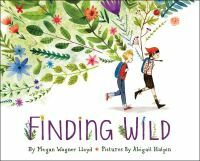 By now, you've all seen Megan Wagner Lloyd's debut picture book, FINDING WILD, right? To read it is to be charmed by it, so if you haven't yet had the pleasure, don't deny yourself this treat for another moment. Once you're done with that, I think you will be just as excited to hear the following great news as I am to share it: There is a brand new picture book coming from Megan Wagner Lloyd! THE ABCS OF CATCHING ZZZS is a quirky, energetic, often hilarious alphabet book, which walks the child reader through every step of bedtime, from A to ZZZ. The acquiring editor is Victoria Rock at Chronicle, and it's going to be absolutely amazing.